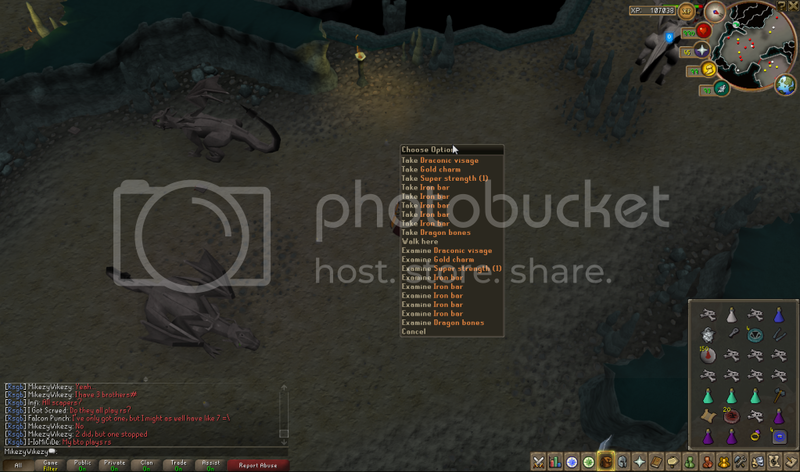 Just doing slayer, got iron dragons. Got a effigy from my first kill so was already a good trip. Was hoping for maybe a skirt or legs drop, never expected this. Why is everyone getting visage's these days? And no I'm not jealous of all of you!! Killed over 5k miths before, didn't get a large or visage. your a troll and no one loves you or your Visage. Nice work on the Visage. Reminds me of a certain someone who did this recently. Name was Dax or something. Congrats Mike! Hopefully this puts them in the mood to give me a visage in the 50 irons or so I have left of task. Who's next Tifer to get a Visage?!! Omg it went paired with a gold charm! Now that's what i've been missing out on when not wearing a row and getting an empty drop with a gold charm! Hmmm, i think a lot of people won't even get what i just said. Anyway bravo to you for getting a super-awesome-mega-cool-waddafak drop. Den did not get a Visage. All i saw in the screenshot he posted was a Visage on the ground! Maybe Den used his invisibility cloak? You know... the one that he stole from Harry Potter? Visage drops are not effected by RoW.